The Oldest Magic Shop in the United States* opened it's doors in 1873. Located at 493 Sixth Avenue NYC, NY, it was started by two brothers, Francis and Antonio Martinka. Their original shop had 5000 square feet of room with a showroom in the front and a small theatre and workshop in the back. Martinka & Co. was different from many modern magic shops though. They not only sold magic, they built magic. Everything from small props of wood, glass and metal to large stage illusions were crafted in their shop. They possessed a skill that is rarely seen today. Their shop was frequented by amateurs and professionals alike. 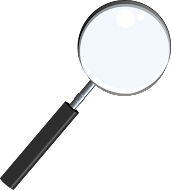 The top names of the day, Robert Heller, Alexander Herrmann, William Robinson, Carter the Great, Harry Houdini and Harry Kellar purchased items from Martinkas. 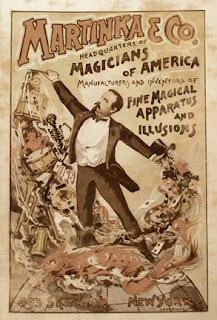 By 1902 it became the hang out for regular NY magicians and that's when Dr. W. Golden Mortimer and Dr. Saram Ellison proposed establishing an official organization for magicians. 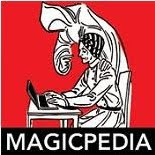 May 10, 1902 The Society of American Magicians was born in the back room of Martinkas Magic Shop. By 1917, the Martinka brothers decided retirement was in order. They had been running this shop and a previous one in Germany for more than 50 years. They chose to sell the shop and it was purchased by a young up and coming magician by the name of Charles Carter. Known professionally as Carter the Great, he had become a great customer to the Martinkas. Practically his entire touring illusion show was built in the back rooms of the Martinka shop. Charles Carter had been touring for ten years and was feeling the need to settle down. Purchasing the magic shop would be the ideal thing for him. Charles Carter had grand plans for Martinkas. According to the Carter the Great book by Mike Caveney, Carter planned to open Martinka Magic Shops all across the country. He even had plans to open a large theatre next to Martinkas to feature acts on the weekends and showcase illusions during the week. But none of it was to be and within a year Carter was looking for a buyer. He was loosing money in the magic shop business. Carter also had pulled in a partner after his initial purchase of the company, Alf Wilton. Mr. Wilton would eventually buy Carter out and get involved with a new group of people, John Collins, Frances Martinka, Theo Hardeen and Harry Houdini. The year was 1919. What did Houdini do with Martinka's you might wonder. He purchased Hornmanns Magic Company from Otto Hornmann, and merged the two businesses together. Beyond that he did precious little. He was busy with his Film Company and history shows what a debacle that was. He sold his 51 percent controlling stock to Alf Wilton after only nine months as President of Martinka & Co.. In 1920, the business moved to 304 West 34th St. in NYC, where it would remain for many years. The next owner, was Frank Ducrot, a popular New York magician. He hired Daisy White to work the front counter and to act as secretary and sometimes as his magic assistant. 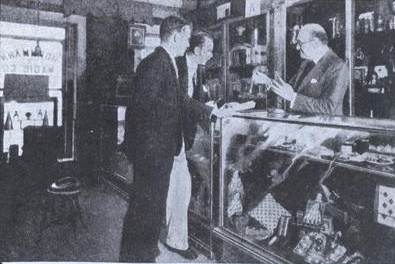 Frank Ducrot died of a heart attack in 1938 and the shop was purchased by Al Flosso, and the name changed to The Flosso-Hornmann Magic Shop. Al Flosso was an old time vaudeville and popular Coney Island performer. He knew everyone in magic and he kept the shop bustling right up until his death in 1976 at the age of 80. His son Jack Flosso eventually took over the shop and just as his father had done, kept the spirit of magic alive and kicking in NYC. The Flosso-Hornmann Magic Shop was a landmark that was visited by professional and amatuer magicians as well as famous Hollywood celebrities and other famous personalities. In 2000, Jackie Flosso sold the shop to Ted Bogusta in the hopes of retiring. In late Sept 2003, Jackie Flosso went to be with Francis & Antonio Martinka, Frank Ducrot, Charles Carter, Daisy White, Harry Houdini and Al Flosso. He was 77 when he died. *I understand there is some debate as to Martinkas Magic Shop being the 'oldest'. It certainly has to be the longest running magic shop in America. Yes there is a actual store there. Also a nice display from The Al Flosso store in original cabinet and Houdini and Martinka items. Nice people and nice place to visit if you are in the area. Thanks for that info, as I would very much like to go up and see it! I believe Al Flosso's store was where S.A.M. was born. As Houdini was the father of S.A.M. and part owner of Flosso's magic shop it would stand to reason that S.A.M. was not born in the back of The Magic Detective. Unless they bought Flosso's back room and moved it there. Hi thank you for the comment. However, The SAM was born in the back room of Martinka's in 1902. Houdini was not the father of the SAM. He was a huge supporter of the SAM and he was the 11th President of the SAM. He may also have served as President longer than anyone else in the history of the organization. As stated in my article, Houdini purchased Martinka's and he also purchased Otto Hormann's shop. When Houdini sold it, the name Hornmann's stayed but for whatever reason they dropped the Martinka name. When Frank Ducrot died, the business was then purchased by Al Flosso in 1938.